Broed is a network organization in the city of Den Bosch, and they asked me to think about an object that they could use to explain their added value. The company logo is a yellow egg, which made sense to start with, but I realized that the concept of warmth / energy was even more relevant for them. 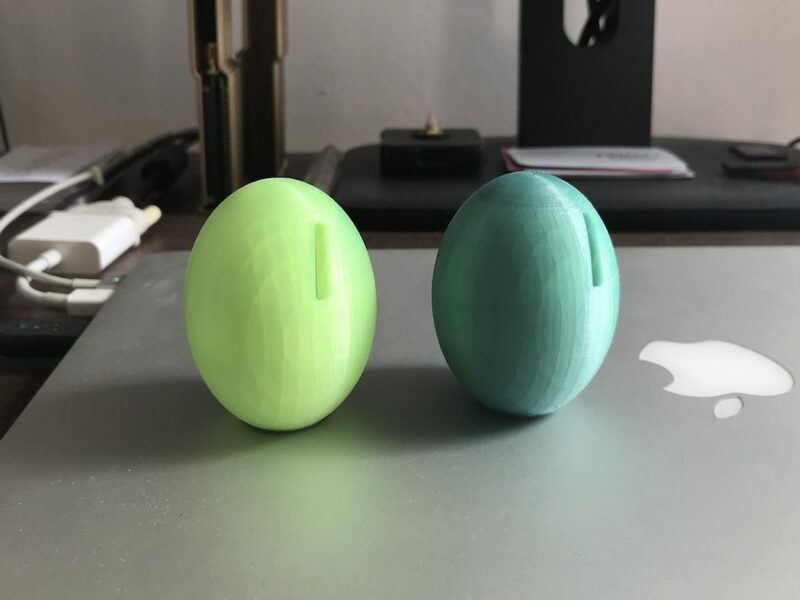 I combined the egg shape with a color shift material, changing from green to yellow at around 30 degrees Celsius. The idea is to write down your goal (focus on the ‘why’, so the ‘how’ remains flexible), put it in the egg, and start brooding. It’s a nice shape to throw around and helps to stay focussed on the challenge within. Yet it’s hard to make the color change by just holding it. 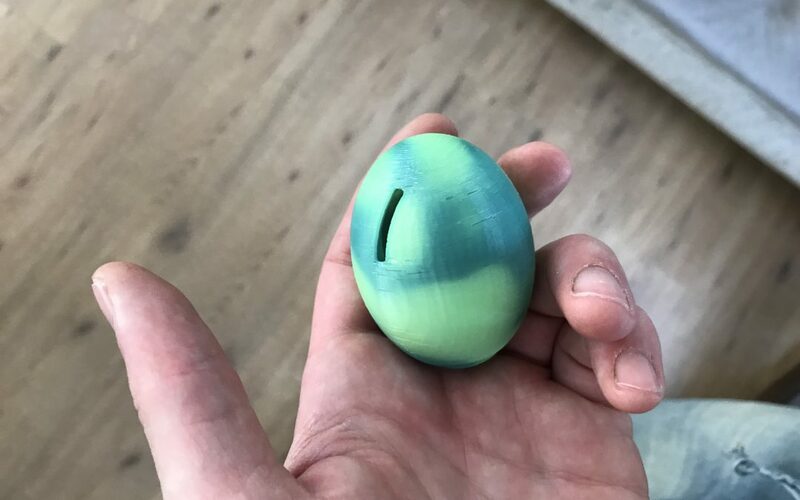 If you participate in events organized by Broed, like a workshop or pitch training, it will definitely start changing towards yellow – and once you’ve met your goal you can break the egg and show everyone what makes your idea so important.